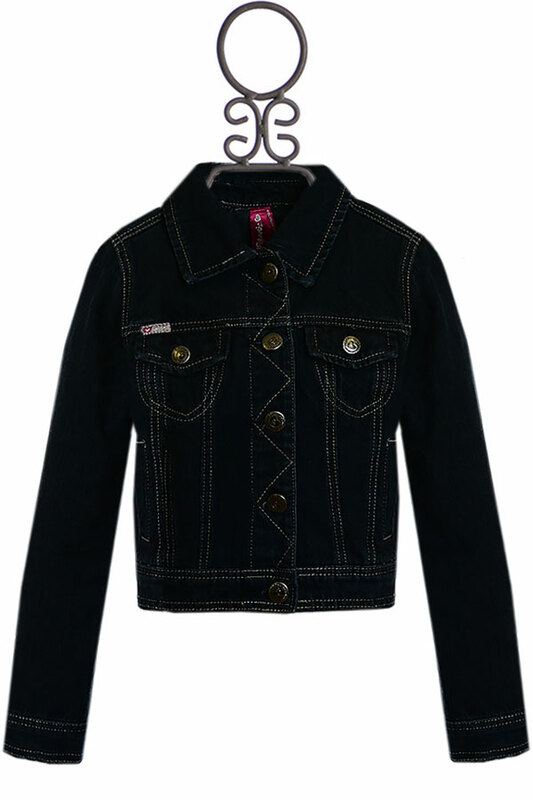 $17.25 - Truly a wardrobe essential for your daughter, a jean jacket is the perfect addition to any outfit. Whether she is wearing a cute sun dress, or a sweater and leggings, a jean jacket can always be thrown on for an extra layer. Made from dark denim, the jacket has distinct stitching detail all around the jacket. There are two front pockets and the jacket buttons down.